Rude Mom Called Him A 'Dirty Biker', But His Heartfelt Response Was Too Perfect. Rude Mom Called Him A ‘Dirty Biker’, But His Heartfelt Response Was Too Perfect. Luc Perreault isn’t so good at blending into a crowd. 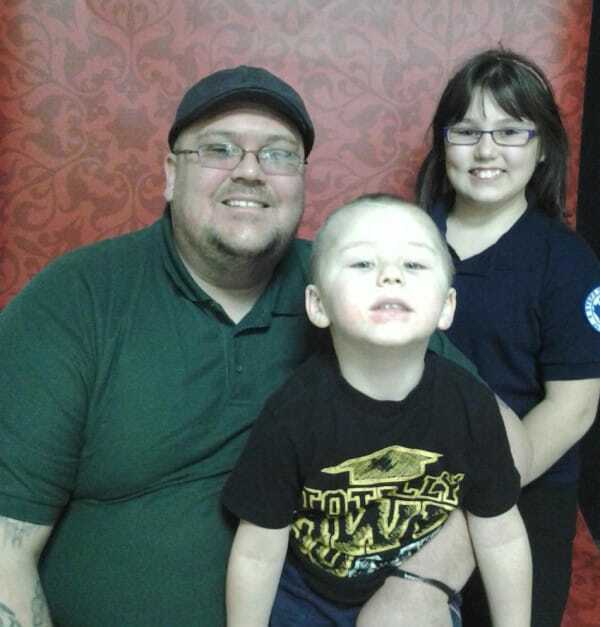 The 280 pound tattoo covered biker was making a pit stop at a coffee shop in Alberta, Canada when a chance encounter left the gentle giant with hurt feelings and something to say. Luc was walking into the cafe when he passed a little girl and her mother walking on the sidewalk. The little girl approached, looking up at him and greeting the biker with a sweet hello. Luc returned the salutation, but moments after he overheard the girl’s mother say something that cut him to the core. 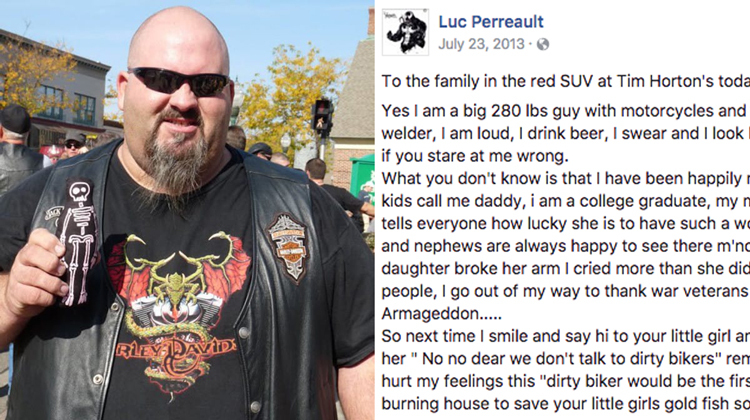 Without acknowledging Luc, the woman told her daughter, “We don’t talk to dirty bikers.” Luc took to Facebook to clear the air and explain what the statement meant to him. Yes I am a big 280 lb guy with motorcycles and full of tattoos, I am a welder, I am loud, I drink beer, I swear and I look like I would eat your soul if you stare at me wrong. 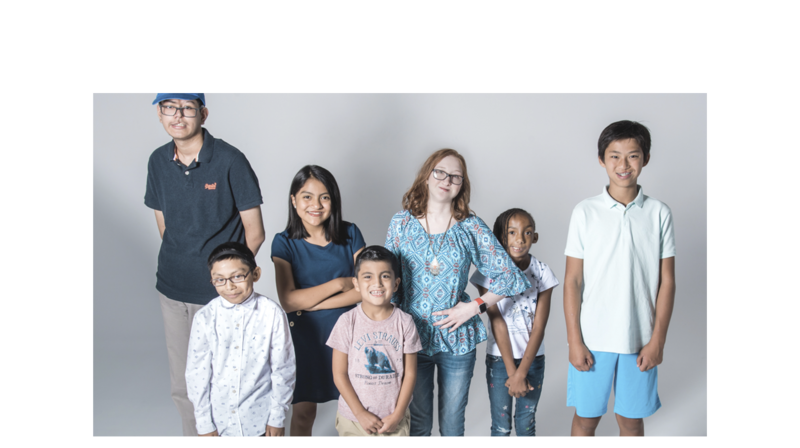 What you don’t know is that I have been happily married for 11 years, my kids call me daddy, i am a college graduate, my mother is proud of me and tells everyone how lucky she is to have such a wonderful son, my nieces and nephews are always happy to see there m’noncl Luc. When my daughter broke her arm I cried more than she did. I read books, I help people, I go out of my way to thank war veterans and I even cried at Armageddon….. 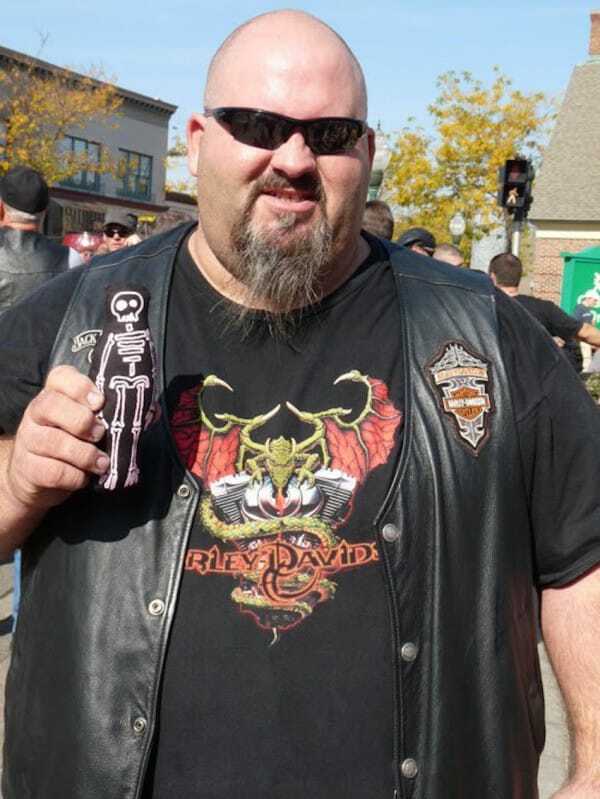 So, next time I smile and say hi to your little girl and you grab her and tell her ” No no dear we don’t talk to dirty bikers” remember that even though you hurt my feelings this “dirty biker would be the first person to run into your burning house to save your little girls goldfish so she wouldn’t be sad!!!! Luc’s words quickly went viral. His reminder to love, and not to judge a book by it’s cover, resonated with thousands all over the world. We all should learn from his experience and not let appearances or any other factor, color our opinion of others. Share and spread his message!